» Posts Tagged "fishing with drones"
The recent approach of fishing calls for concern as technology gives a hand shake to the world of fishing. The days of poor yields is gradually becoming history to those who know exactly what to do. Keep updating yourself with new ways of doing things and it will surprise you how much you can do. The pain of throwing your net and get it stuck into plants will soon be a phenomenon of the past. 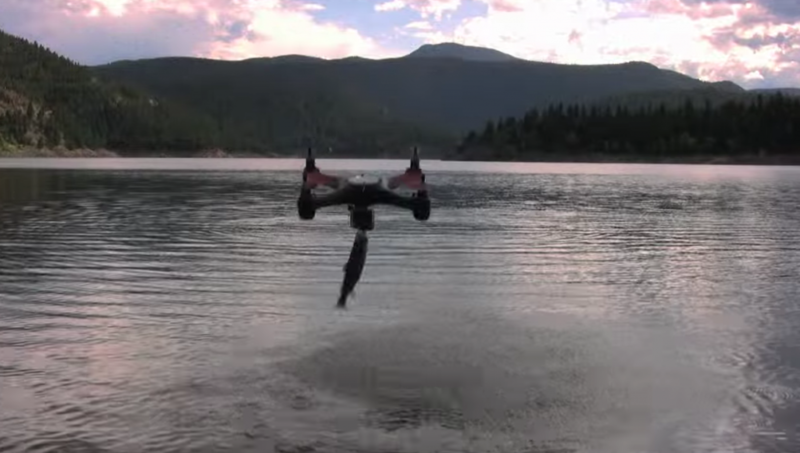 The art of fishing is taking another dimension with the introduction of fishing camera drones. Drone as is popularly known to be a military tool to spy and survey dangerous risky front line pertaining to an enemy camp is taking another responsibility on its shoulders. Humans design machines to help them be more effective or productive. It is in this light that this unique science that came into existence to serve the arm forces is now moving on into other works of life. This time around the domain of fishing is on the front line. Definitely it’s time to prepare your mind to learn how to use drones for fishing. First it is going to be more fun, and then you will get the opportunity to stay on land and fish hundreds of meters away. You will not suffer the loss of your valuables left by the shore, seeing you will stay on land with them. The flying of the drone will be entertaining and at the end you get rewarded for your time well spent immediately when your drone gets to drop its catch at your feet. It can be likened to playing an electronic game and getting a physical power-up reward. Primarily the question of how do you ensure the sea salty water doesn’t destroy the drone? A question well answered already. The days of drone getting destroyed was greatly lived by the designers, and interestingly they have perfected the art with new waterproof designs to best serve in the fishing exercise conquering the limitations of salt from sea water. All has been well designed and it’s just the right time for you to consider adopt the attitude of fishing with drone. Fishing drones have been designed with amazing features like, internal GPS, telemetry terminals to facilitate your remote control of the drone, stabilization system to maintain balance when it gets windy, load carrying capacity, camera to enable aerial footage and a fish finding emitter – this emitter sends feedback via a wifi signal within a range of about 300 to 500 feet which you can receive on either your mobile or any other wifi receiver and interpret. Some are even designed with the complexity of an autopilot system that renders them more dynamic. With all in place, we see how larger fishing companies are learning how to use drones for fishing to increase their yields. It is therefore a good step to learn how to use drones to make your leisure fishing a more recreational exercise. It is easy and exciting. Hope this puts you informed of a better way of catching fun. As the saying goes; do the thing and you will get the energy to do the thing. It might be strange to you today, but don’t let it last till tomorrow. Learn it and enjoy the benefits that come along.